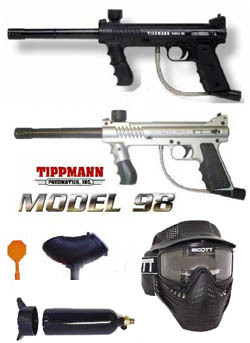 Do you have an interest in paintball guns? Better yet, wouldn't you like to be able to build your own equipment without having to spend hundreds of dollars from buying it from a retail store? If so, then this auction is for you. I am including 35 plans that will show you to to build paintball equipment by using common house hold items. The great majority of the items needed to build this equipment can be purchased at garage sales, junk yards, or you might find a lot of it in your own garage. The other alternative is to go directly to a hardware store and buy what you need there. By reading these plans you will have the knowledge and the know-how on how to successfully build cannons, bazookas, mortars, grenade launchers, 4 different silencers, 2 smoke bombs, grenades, ghillie suits, laser sight, 2 paintball mines, 2 types of squeegees, a PAV (paintball assault vehicle), no fog spray, an electric agitated hopper, a non-electric hopper, plus much, much more. You will love this! I have no doubt about it.